Simplicity is part of the song for this dish. Start garlic in oil on ML, reduce to L and let simmer until garlic pieces turn the lightest of browns; remove from heat. Take a small part of that and toss with broccoli, add a tsp plain olive oil and garlic/salt. Toss. Put on baking sheet in 400° oven for about 10m. Cook/drain pasta, put back in pot and add garlic olive oil and cubed feta. Toss. 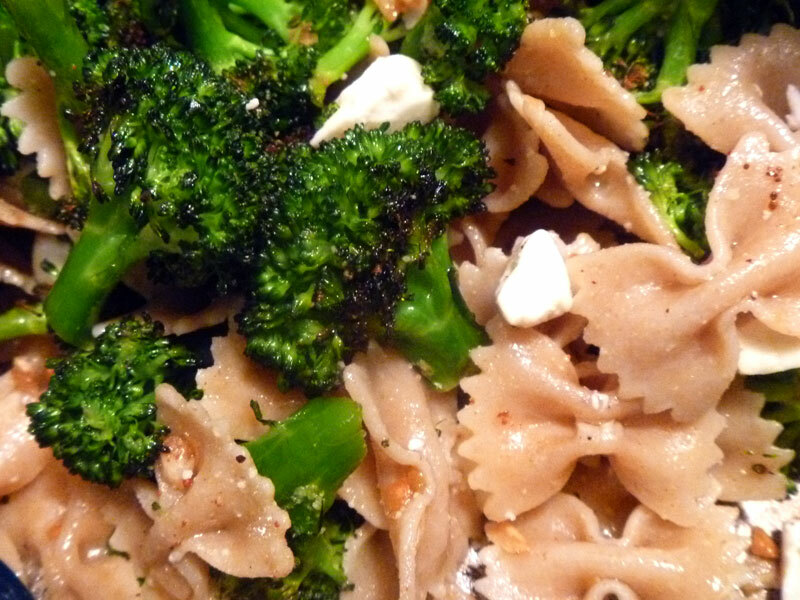 Add 1 tbsp almond milk and cover on L. Remove broccoli from oven, sprinkle with Parmesan and broil for 30-60 seconds. Take out and pour into pot with pasta. Toss and serve warm. 5 easy spoons!